Long gone are the days when Shah Rukh Khan and Salman Khan were touted as rivals. After a brief spat in 2008, the two superstars are back to being what they do the best: being brothers like Karan-Arjun. Salman’s hit reality TV game show ‘Dus Ka Dum’ is currently airing its season 3 on Sony Tv. King Shah Rukh Khan joined Salman for the shooting of the season finale. Giving them company was none other than gorgeous Rani Mukherjee. The episode is yet to air on TV but it is already garnering much attention and curiosity by the fans all over the county. Fans are waiting with bated breath to see their favourite duo Karan-Arjun i.e. 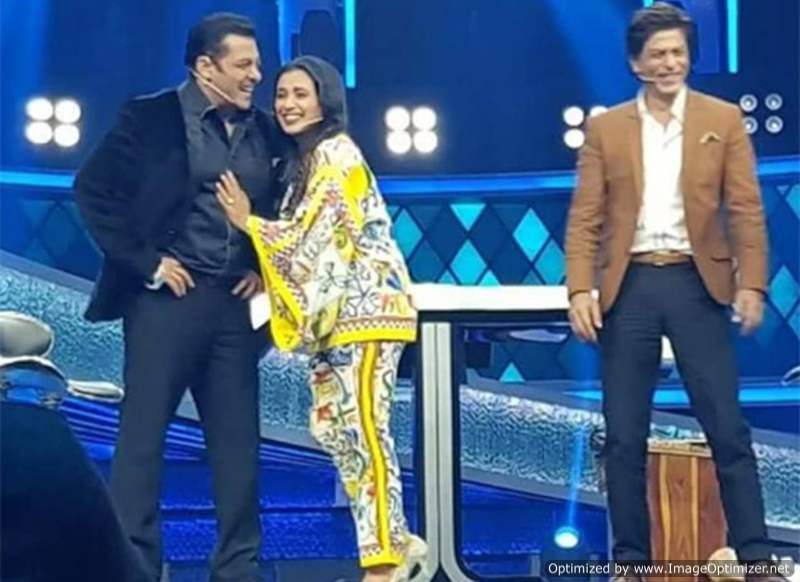 Salman and Shah Rukh on the same stage with Rani making the combination more epic than ever. During the episode, SRK revealed how his youngest one AbRam, who is all of five, is very much like Salman. He further explained how AbRam tells “I love you” to his parents and also to all the girls present around. This earned him a laugh from Rani and Salman both. Rani quickly jumped into the conversation and revealed her deepest dream. She said that she wants Salman to have a daughter. Seems like the special episode is going to be a blast. 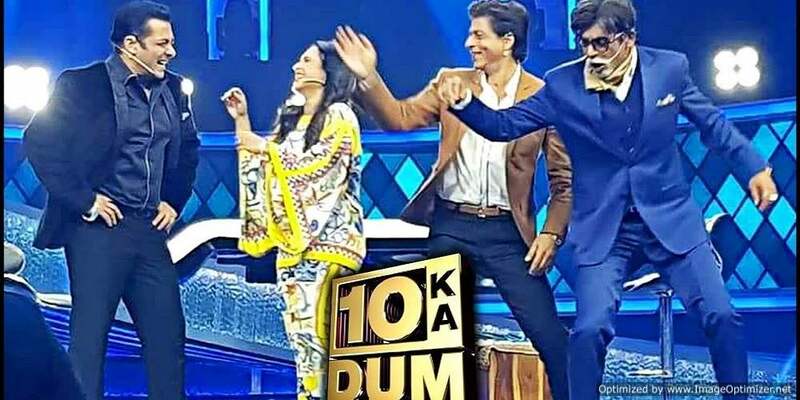 We can’t help but feel excited to watch this trio and their laugh riot. 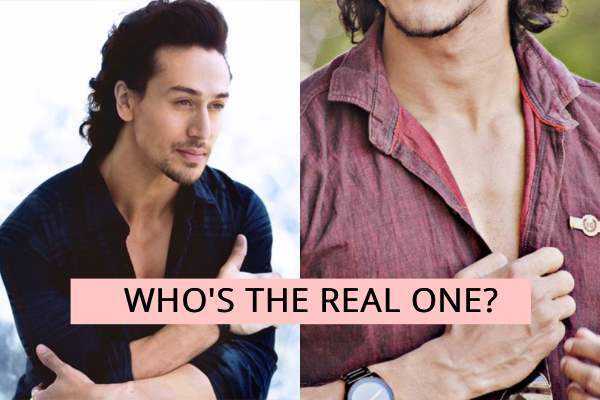 This Man From Assam Looks EXACTLY Like Tiger Shroff. You Won’t Be Able To Spot The Difference! 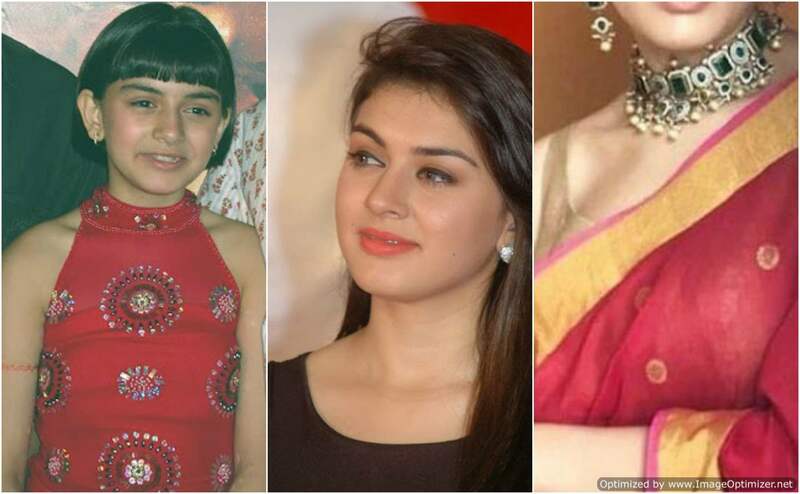 Remember Hansika Motwani? Her latest pic in saree will leave you breathless! Next story Shahid Kapoor & Mira Rajput Choose for their baby boy & Guess what? It’s an Arabic name. Previous story Is Farhan Akhtar Dating THIS Actress After Shraddha Kapoor?